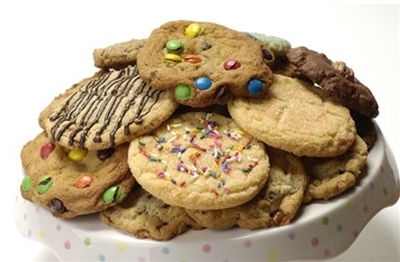 A cookie is a baked or cooked good that is small, flat and sweet. It usually contains flour, sugar and some type of oil or fat. It may include other ingredients such as raisins, oats, chocolate chips, nuts, etc. In most English-speaking countries except for the US and Canada, crisp cookies are called biscuits.